Throughout the film, either Srikanth or JD, who get to play equally important roles, dont try to make you laugh. A world of bufoonic characters, whose list goes on and on, make up the film. It is not for the mass audience, simply because there is no vulgarity nor our dear comedians come up with stock expressions. It is all situational comedy greatly helped by rhyming dialogues. Brahmanandam, seen in just two scenes, delivers a smart performance without uttering a single word. © 2018 Scratchu.com All The Best (Telugu) | Srikanth, J.D. 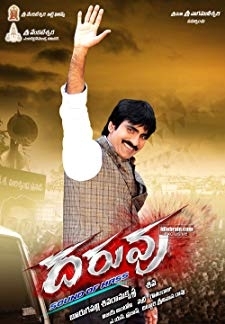 Chakravarthi, Lucky Sharma, Pradeep Singh Rawat, Srinivasa Rao Kota, Brahmanandam, Raghu Babu, Rao Ramesh, Duvvasi Mohan, Pragathi, Telangana Sakuntala, Krishna Bhagavan, Brahmaji, Suthi Velu, Narsing Yadav - All The Best (Telugu) (2012) | Telugu Movie | 5.6/10 | Synopsis : Throughout the film, either Srikanth or JD, who get to play equally important roles, dont try to make you laugh. A world of bufoonic characters, whose list goes on and on, make up the film. It is not for the mass audience, simply because there is no vulgarity nor our dear comedians come up with stock expressions. It is all situational comedy greatly helped by rhyming dialogues. Brahmanandam, seen in just two scenes, delivers a smart performance without uttering a single word. ... Watch Online!! !